Hyderabad, Jan 28: In a major development, Daggubati Venkateswara Rao son-in-law of former Chief Minister N.T. Rama Rao is all set to join the fold of YS Jagan Mohan Reddy’s YSR Congress. On Sunday, the former Cabinet Minister along with his son Hitesh called on Jagan Mohan Reddy and held talks over the socio-political situation in the coastal state. 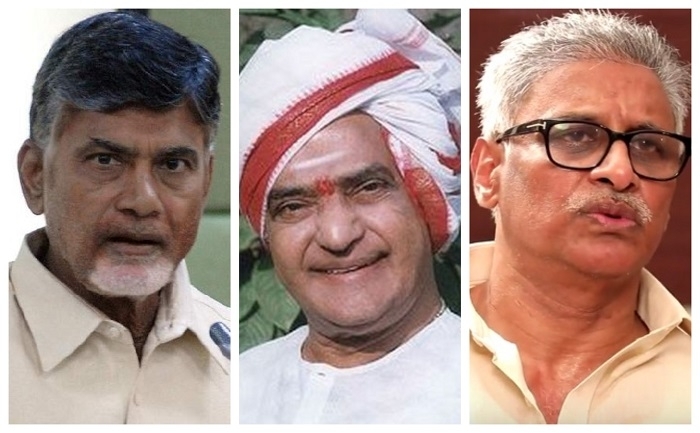 Daggubati Venkateswara Rao is likely to contest Lok Sabha Polls from Baptala seat and his son Daggubati Hitesh, grandson of NTR is hoping for Parchur assembly seat. Daggubati Venkateswara Rao is the husband of senior BJP leader D Purandareswari, head of the Andhra BJP Manifesto panel. The former Union Minister had left Congress and joined BJP but lost 2014 polls from Rajampet Lok Sabha. Speaking to the media, Daggubati Venkateswara Rao showered praises on YSR Chief Jagan Mohan Reddy saying that the coastal state will see more developmental under the leadership of Jagan. Taking a pot-shot at Chief Minister Nara Chandra Babu Naidu, Rao alleged that Naidu has failed to address the issues faced by the common man. The former Congress leader also expressed displeasure over the state of affairs under Naidu. When asked about Purandareswari’s move, Rao stated that the former Union Minister will not quit BJP. “Purandareswari is free to take her call but if condition demands, she will quit active politics” Rao mentioned. Daggubati Venkateswara Rao is the eldest son-in-law of TDP founder and former Chief Minister N.T. Rama Rao. A former Cabinet member in NTR’s Cabinet, Rao was instrumental in the historic 1995 coup backed by Chandra Babu Naidu against NT Rama Rao. He has also penned a book on the legendary actor turned politician. When Chandra Babu Naidu assumed the office of the Chief Minister and TDP President, Rao left TDP and joined Congress along with her wife Purandareswari. In 2004, he won Parchur on Congress ticket and Purandeswari bagged Bapatla Lok Sabha and also inducted into Man Mohan Singh Cabinet.